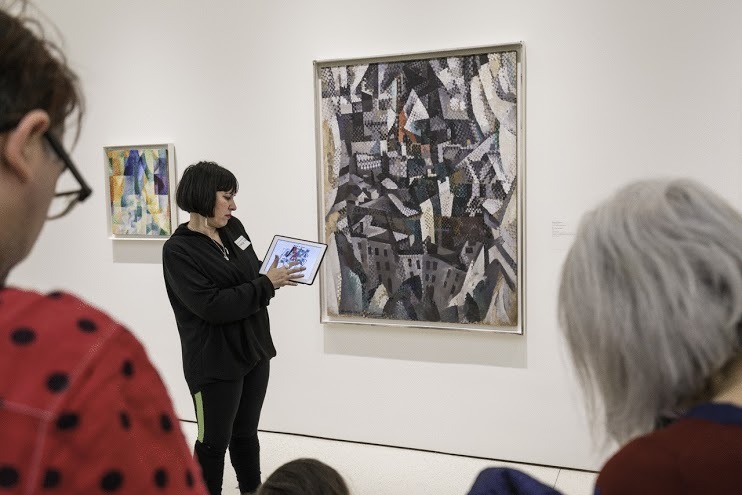 On May 4th I presented a MuseumDraw Tour at the Solomon R. Guggenheim Museum, NYC, with Rachel Ropeik, Educator at the Guggenheim, as part of Creative Tech Week NYC. It was a fabulous honor to work in such a prestigious museum and was happy that there was a great turn-out and people loved it! 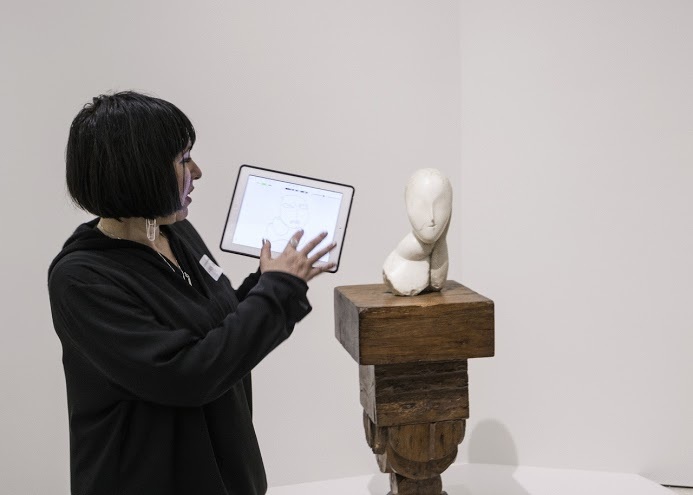 The most successful part was that people of all ages were able to use the technology to draw in museums and enjoyed it. 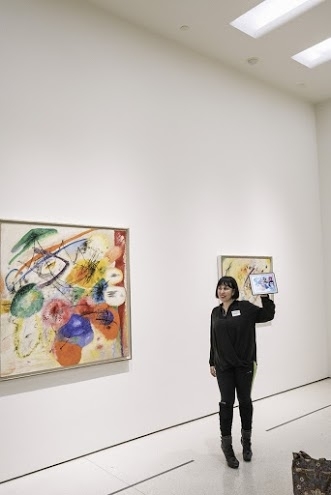 MuseumDraw at the Guggenheim was a wonderful experience. One of the most valuable take-aways was learning more about how to work with a larger international group. Including ways to better the experience for drawing. 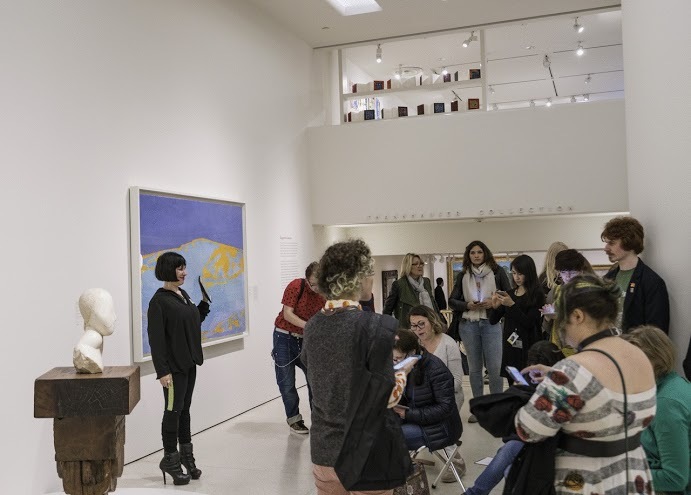 Although things went just fine and everyone was happy, including the visitors on the tour and the museum educators at the Guggenheim, I still used a hyper-critical eye in thinking about ways to improve the visitor's experience. I decided that the drawing app could be simplified for a larger group to understand the functions. It's important for all to be able to draw immediately regardless, of mobile tech experience, common language, or artistic ability. Some changes I'm proposing are: a new app stripped to the bare essentials so that drawing may commence more quickly and effortlessly. A full RGB but ability to save color favorites, be called "MuseumDraw", and have unlimited pages with no watermark. I laid this huge list in front of Marta Snow, of Appikiko, who generously listened to my concerns. I'll just say that I'm lucky to work with such great partners in the community such as Rachel and Marta. 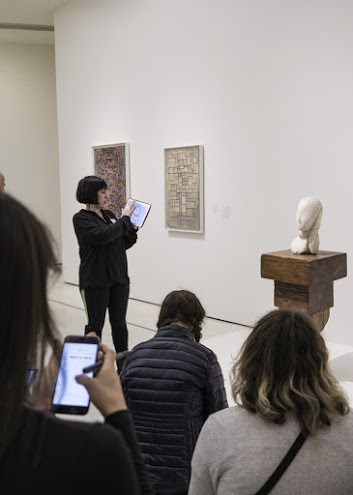 She patiently listened to my concerns and agreed that during the Summer, together, we may create a fresh, even more ideal drawing app for large international multi-generational audiences that is best for MuseumDraw. I took these photos live during the MuseumDraw Event. 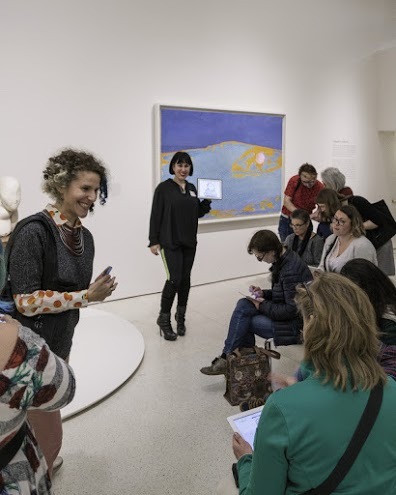 These are the drawings from 24+ International Adults of all ages that joined the "Art in the Round", Public Tour at the Solomon R. Guggenheim, NYC, May 4th, 2016. 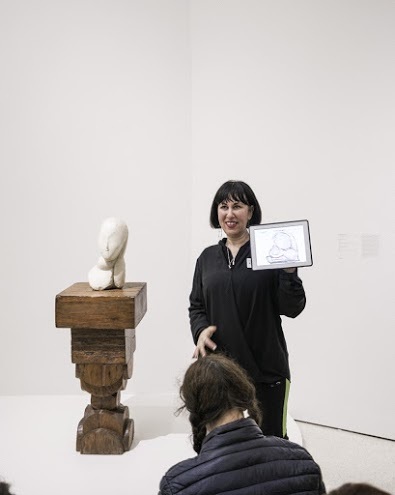 MuseumDraw in Action: Photos by Owen Conway © Solomon R. Guggenheim Foundation, New York. All Rights Reserved.